On the tour, you will taste 10 unique Icelandic craft beers from microbreweries all around Iceland. We base our selection of beers on what‘s on tap when you join our tour. We are of course happy to cater to your preferences for beer but at the same time encourage you to be adventurous. 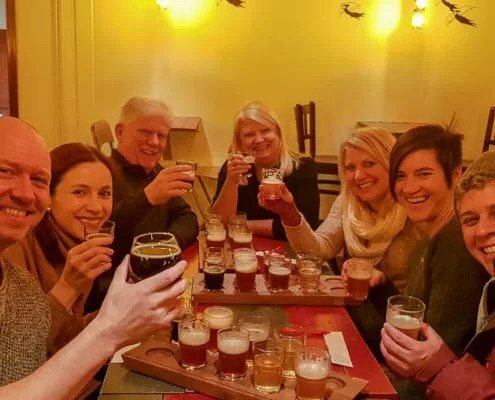 ​Our Reykjavik beer tour is guaranteed to leave you with a warm buzz and with the prices for alcohol like they are in Iceland you can be sure you get value for money by joining our tour. We will also give you tips on how to save a little bit on drinks while you are here. 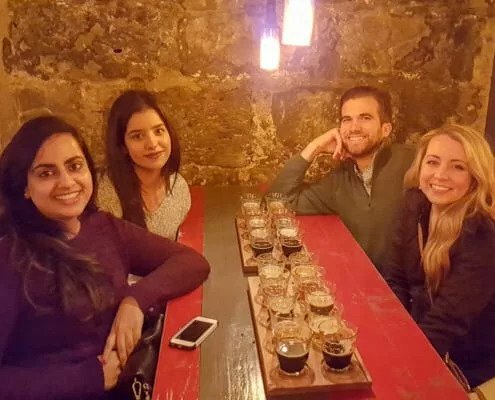 If you do not enjoy beer but still want to join The Reykjavik Pub Crawl we can adjust the tour for you, offering you 5 different Icelandic spirits or snaps. We think that one of the best ways to get a feel for a new city is to sit down and have a few beers with the locals. You don’t have to be a special beer lover to have fun on our tour and maybe you will even be introduced to a beer style you will love. The Reykjavik Pub Crawl – Icelandic Beer Tour is your chance to get to know the best Icelandic craft beers for you to enjoy on your trip. Icelandic people have a short, but proud history of making beer (we need to put our lovely, pure glacial water to good use). We will tell you about our history of beer, from the Vikings, right through to the resurgence of microbreweries today. Beer was actually banned in Iceland for 74 years. Thankfully, this is not the case anymore! You’ll learn all about this bizarre story, and our unique drinking culture on the tour. All drinks are included in the price of the tour. The legal age to purchase alcohol in Iceland is 20 and therefore we only accept people 20 or older on this tour. There is a really short walk between the bars but please dress warmly; we are in ICE-land after all. 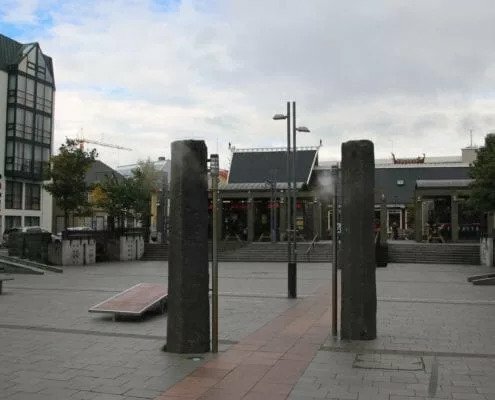 The starting point is on Ingolfstorg (Ingolfs public square) by the two stone high seat pillars​!